SPRINGFIELD, MO – (3.28.19)– Dr. Abigail Emery has completed the requirements needed to be officially Webster certified by the International Chiropractic Pediatric Association (ICPA). Dr. Emery, Dr. Steven Loehr (Board Certified), and Dr. Aimee LaBrie all specialize in chiropractic techniques for pregnancy—making Loehr Chiropractic & Acupuncture the largest team of pregnancy chiropractors in the area. They work together to better serve pregnant women who are preparing for safer and easier birth outcomes. Webster certified doctors are taught gentle adjusting techniques, individual case management systems and evidence-informed practice to best care for pregnant women. In addition to this, doctors are given an in-depth view of birth and are provided with the necessary skills and resources to support women who want safer natural births. Dr. Loehr, Dr. LaBrie, and Dr. Emery have undergone a written and a clinical exam for Webster Certification proficiency. This technique includes a specific chiropractic pelvic analysis and accompanying adjustment. The goal of the adjustment is to reduce the effects of pelvic misalignment and to restore normal function and balance in the pelvis. This certification enables Dr. Emery to expand her range of care to expecting mothers throughout pregnancy with excellence and in accordance with evidence-informed practice. “With my additional training, I am excited to specialize in holistic pregnancy care and continue providing personalized care for my patients,” shares Dr. Emery. In the care of pregnant women, this pelvic misalignment may lead to difficult labor for the mother (i.e. dystocia). Dystocia, as defined by William’s Obstetrics, is caused by inadequate uterine function, pelvic misalignment, and baby malposition. Preliminary research indicates that chiropractic adjustments using the Webster Technique may have a positive effect on birth outcomes by addressing these three causes of dystocia. Loehr Chiropractic and Acupuncture, located in Springfield and Weaubleau MO, provides a wide range of healthcare services while specializing in pregnancy, pediatrics, internal medicine, sports injury prevention, and rehab. For more information on Loehr Chiropractic and Acupuncture, please visit loehrchiro.com or follow us on Facebook for more information. The International Chiropractic Pediatric Association (ICPA) is a nonprofit organization whose mission is to advance chiropractic by establishing evidence-informed practice, supporting excellence in professional skills and delivering educational resources to the public. It fulfills this mission by engaging and serving family chiropractors worldwide through Research, Training and Public Education. 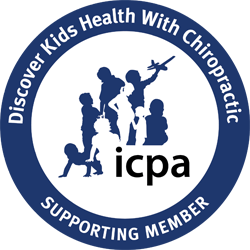 Founded in 1986, the ICPA is the profession’s oldest, largest and most sought out chiropractic pediatric association. For more information about the ICPA and chiropractic research, visit discoverkidshealth.com.